As a society, we have got into the way of outings and birthdays involving a lot of sugar, whether for the outing itself (e.g. a trip to the chocolate factory, Pizza hut or similar restaurant, or the cinema with sweets and popcorn added in), the meal within the outing(full of junk food like burgers, crisps, popcorn, sweets), the sugary cake, or the party bags (sweets and more cake). When I was a child parties were rare- most parents could not afford to invite that many kids and most parties were in our own homes with mum or dad. Party food was a few sandwiches and sausages, and party bags had a little toy and a single piece of cake. I expect I only went to three or four a year, whereas these days some kids can get invited to one a week. Can you think of doing other sorts of outings for your kids’ birthdays or days out? Here are a few of my ideas, and with all of these consider just having 2-6 kids rather than the whole class. This saves on the cost and also means you can have a proper meal afterwards, maybe back in your own home. You could bring your own food or take them back to your house after the main event. Cakes- how about a proper “cheese” cake, or a cake made with a lot less sugar, or individual low sugar muffins? Should be of “cake consistency” if too runny add almond flour. Pour the mixture into a medium lined loaf tin and bake at 180 degrees c fan for about 30 minutes. Break the chocolate into pieces and place in a bowl. Gently heat the cream in a pan and when it just comes up to a simmer pour it over the chocolate and keep stirring till it melts. Keep stirring and as it cools it will thicken. Then spread it over the cooled cake in the tin. Place in a cool place till needed. 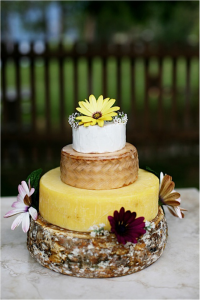 A “cheese cake” is often used for weddings, but I bet you could make a fun one for kids if you wanted. Try to give kids treats and rewards that are nothing to do with food. I am often told by older people that the most important thing you can give children is your time and attention. You could listen to them reading, you could sit down and watch a film together, turning off your mobile phone, you could play together by making things (models or puzzles), or you could go for a walk( (and add in an “I spy”), you could go to the swings, or an art gallery or museum, you could go and visit a relative or help the old couple down your street. Think of nice things to do that do not involve sugar or even food, and ask your child to do the same. The aim is that you, your child and your family more activity centred and less food centred. Your medication Before starting the low carbohydrate way of eating you may need to adjust your medication for lowering your blood glucose. Canagliflozin, dapagliflozin, or andempagliflozin- stop them before you start low carb. Insulin- consult your doctor first- but dose usually goes down to half or even to a third of what it is on a higher carbohydrate way of eating, depending on your blood glucose. Any other medication like BP drugs – please ask your GP. Your BP may well go down. Your blood glucose testing Get a machine from your practice nurse or the Internet. If on any drug above, apart from metformin, you will need to check your blood sugar every 2 hours and even in the middle of the night at first to ensure it is stable. Don’t forget to check 1-2 hours after meals, and especially if you deviate from the recommended foods – see what happens so you know-and go easy on yourself, you are learning. Your carbs I recommend no more than 30g carbs a day, which you can work out from the Carbs and Cals book or app. Carbs are best divided 6/12/12, but could be 15, 15, or 10,10,10. Don’t forget to count and adjust for any snacks or drinks. Remind us of your hopes and goals and share them with me if you like! Have any of you eaten out yet? What happened? How do you find eating out with low carb either on the hop and for a sit-down meal? Local menus have been provided thanks to Ayesha Wooler, our public health champion. If you have not started low carb yet, would you like to stop eating out for first 6w or longer, or would you like to try eating out right away? The choice is yours. How do you feel asking for something different? What is the reaction of your partners and friends? Website of a cafe offering low carb choices. In this meeting I discuss mindful movement or chair yoga to help us relax and I do a short mindfulness exercise. If you are registered with Stockton Heath you can see Dr Hemma Mistry about it as she is a trained yoga teacher as well as a doctor! 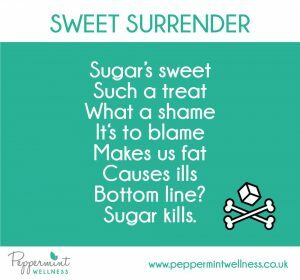 Here is a link to Suzy Glaskie, health coach, of Peppermint Wellness. Suzy came along to one of our groups and I was very impressed. She connected with each of us about processed food addiction, and how we can leave it behind us! Follow the link and think about how you can address your addiction to processed food. Most of us have it to a certain extent- I know I did. Do remind yourself of your hopes and goals! Recently, one of my group shared that she dreamed of running with her dog. She also has managed to get on her bike for the first time in 10years, so I’m sure she will do the run. I look forward to getting a photo. How have you been getting on? Challenges and successes are very good to share, plus photos and stories. Send them to me or share on social media and tag me. How are you involving your family, friends and workmates? 1 recipe- “fathead pizza” if you like pizza & want something lowcarb this is very tasty. Habit change and addiction, and cravings?